Tradition has it that ill-behaved children will receive a lump of coal in the bottom of their Christmas stockings, instead of toys. 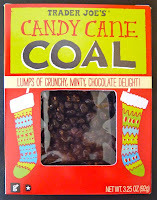 Trader Joe's (Monrovia, CA) package of Candy Cane Coal makes light of this story -- with "lumps of crunchy, minty, chocolate delight." 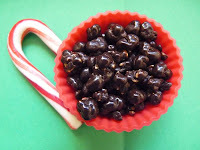 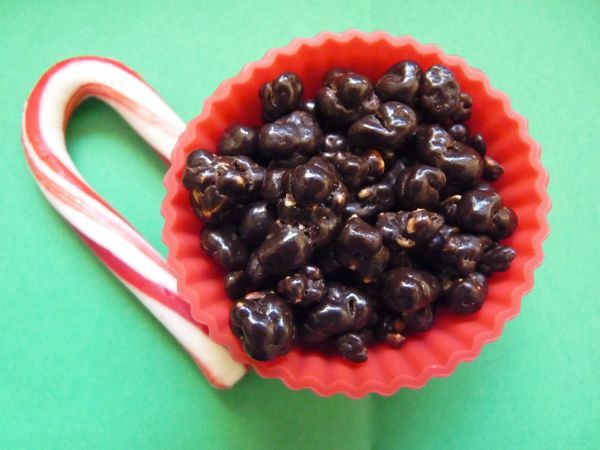 And, these tiny pieces of sweet, chocolate covered coal were pretty darn good.